St Helen's church at Amotherby stands almost hidden in a churchyard screened by trees. 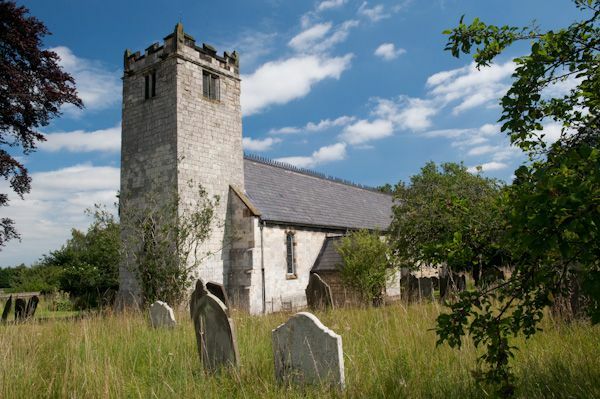 The earliest reference to a church here comes from 1218 when the monks of St Albans were confirmed in possession of a mother church at nearby Appleby-le-Street. 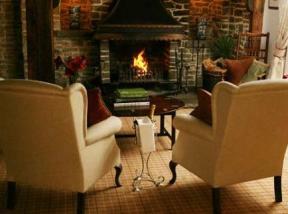 Apparently, Amotherby was always considered a chapel of ease to it's larger neighbour. Little remains of the medieval church and much of what we can see today is the result of an extensive Victorian rebuilding in 1871. 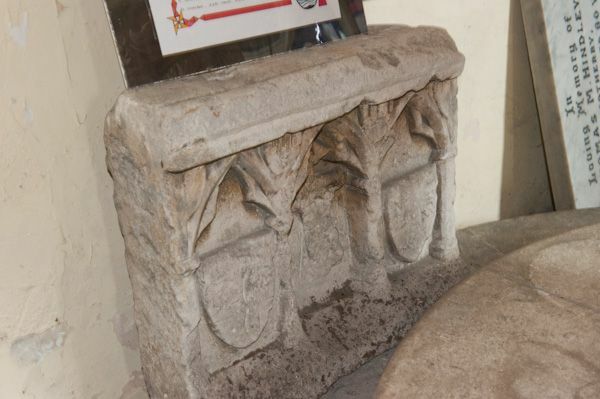 The original font stands outside, near the porch. 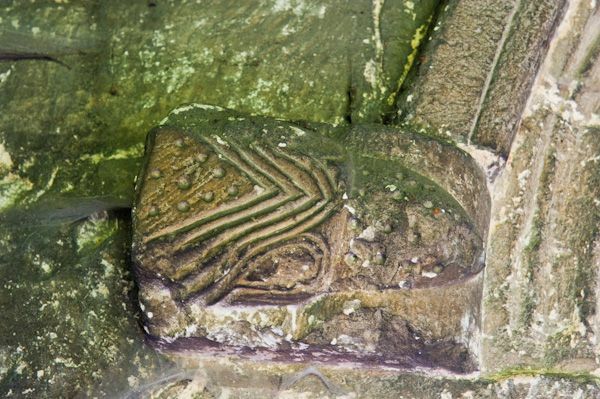 In the porch are a number of fascinating fragments of Anglo-Viking crosses and tomb covers. These are rather jumbled together, but at least they are largely under cover, protected from the worst of the elements. 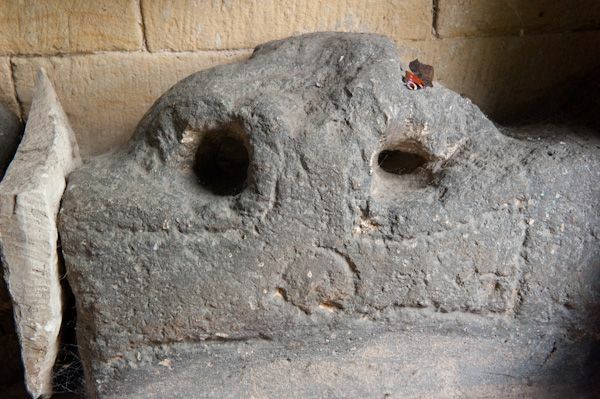 Unfortunately, there is no signage to indicate anything about the origin or nature of these relics, though some of the carving is of very fine quality and they are obviously of a very great age. 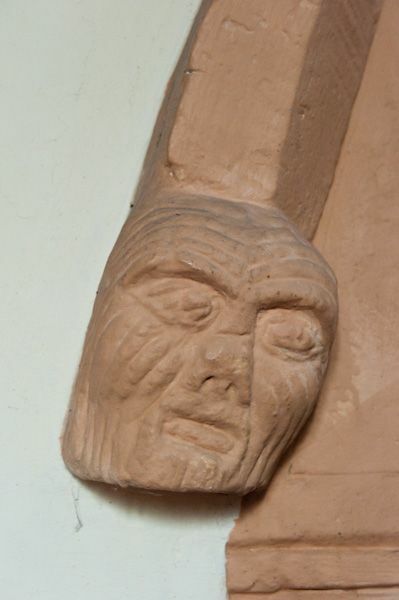 The most interesting historic feature inside the church is the 14th-century effigy of Sir John de Bordesden. 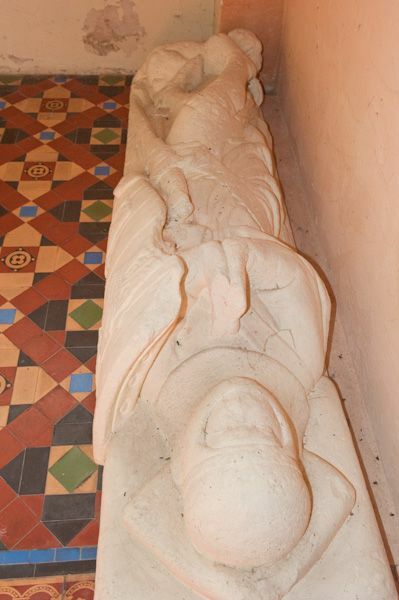 The effigy is finely carved, and shows the knight wearing a surcoat with sleeves. 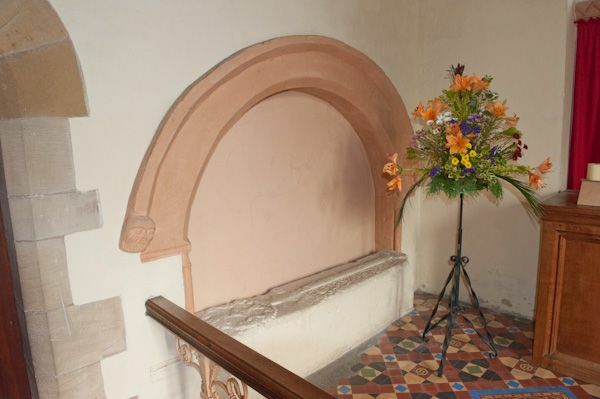 Nearby is the tomb of William de Bordesden, set under a rounded niche to the north of the altar. 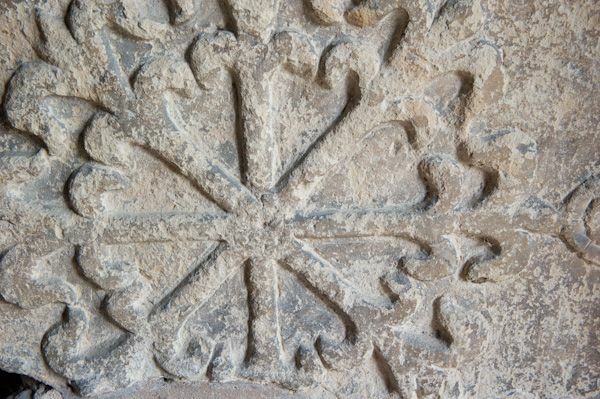 This tomb is topped by a carved stone with a foliated cross. 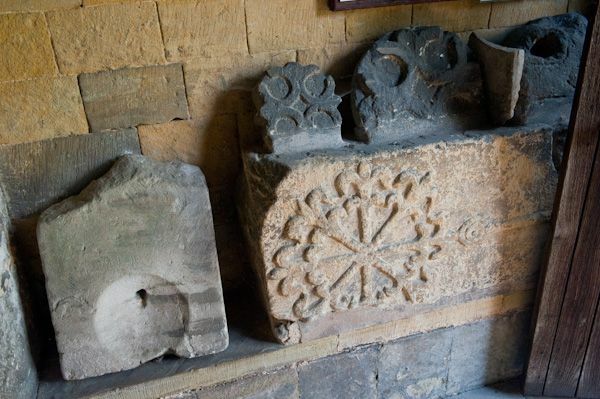 The rest of the tomb was dismantled in 1571, though bits and pieces of it are displayed at the rear of the church.